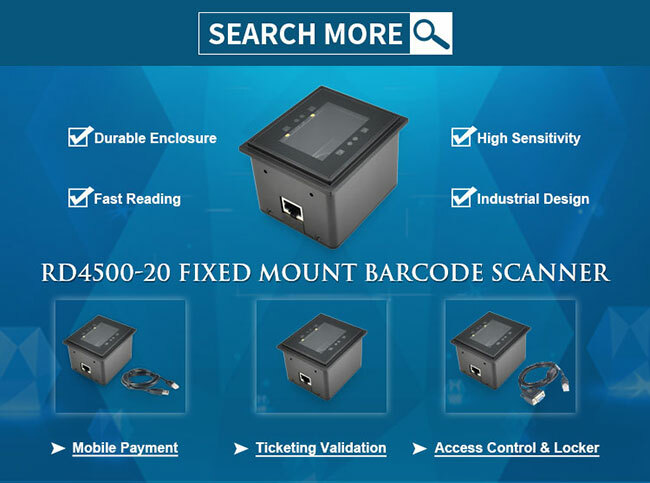 RD4500-20 Fixed Mount 2D Barcode Scanner, thanks in part to two extra mounting brackets that come with the product, is also capable of being mounted in various positions including straight, tilted, and right-angled direction, making it possible to fit into the most tightest space, preventing equipment re-design. 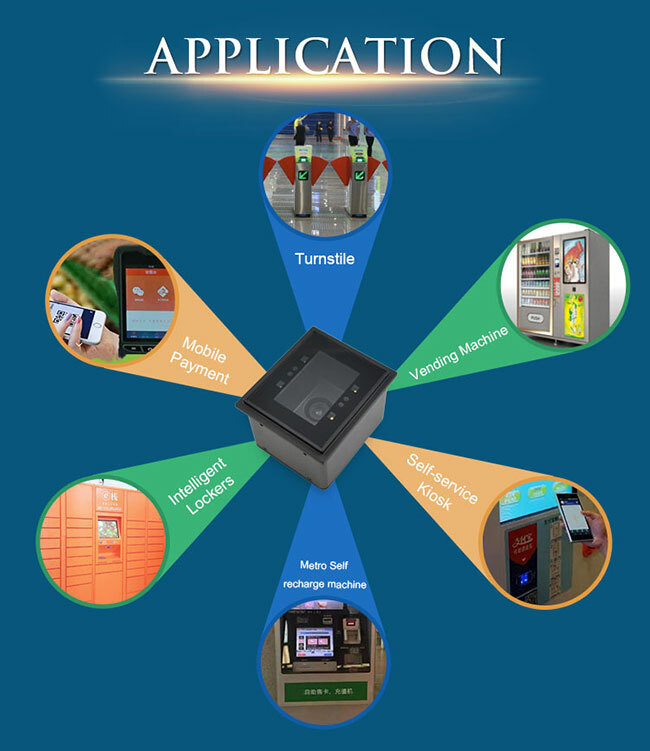 RD4500-20 Free shipping Cost Effective Embedded 2D OEM Barcode Scanner Module to Scan QR code, DM, and PDF417. The auto-adaptive scanning parameters of RD4500-20 fixed mount barcode scanner optimizes the ambient light immunity of up to 100,000 lux and create an extraordinary extended working range for easy scanning of barcodes from near to far. This feature helps customer complete barcode scanning task from indoor to outdoor applications, under any lighting condition. 1. Armed with RAKINDA latest technology, the scanner excels at reading on-screen barcodes even when the screen is covered with the protective film or set to its lowest brightness level.